Salary.com values a stay at home dad's work at $60,128 a year. Working fathers would be paid $33,858 a year. This compares to stay-at-home moms salary of $115,432 a year. Working mothers would make $63,472 a year however, James Rohl, a stay-at-home father of two and popular dad blogger in Oregon, said there is a likely explanation for the discrepancy. In researching this, I have found several "slaps in the face" to fathers such as this one: "
More to the point masking why work is more important is like asking whose job is more important, a fireman or a police officer. Well, if your house was on fire, you would say a fireman. If you were being robbed, you would say a police officer. The fact is we need them BOTH. Today as never before, fathers are under attack. Our society glorifies single moms and by this, I mean women who plan on being single moms by choice. 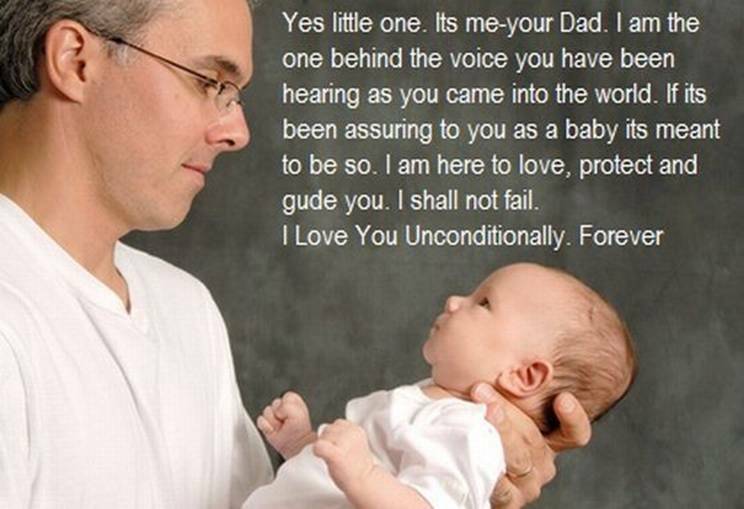 This is despite the harm single fatherless families are doing to our kids. 71% of pregnant teenagers.0% of all homeless and runaway children. 85% of all children that exhibit behavioral disorders. 80% of rapists motivated with displaced anger. 71% of all high school dropouts. 75% of all adolescent patients in chemical abuse centers. I would say fathers are VERY important. Oh, for those who say fathers abandon their children, although a few do, most of the fathers who have not been able to see their children today have had ACCESS DENIED. There is so much to say but I will leave this with one least comment. BOTH mothers and fathers are needed! God created us to work together, not to compete with each other and if society treated fathers with the respect they deserve, we would see fathers valued as much as mothers. It would help if the media, TV and Madison Avenue stopped showing fathers as some sort of idiot that needed to be rescued by mom or even their daughters as we seldom see them needing to be rescued by their sons, after all, they are male too aren’t they? 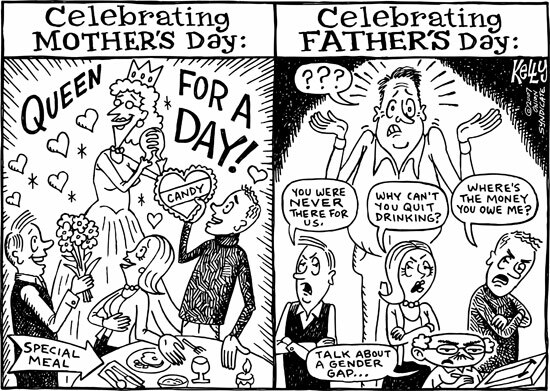 fathers, in of all issues, its Father’s Day edition. play in its attempt to capture a market share of the American reading audience? should be ashamed of itself. who received the largest federally funded grant in America to study divorce. Dr.
America. His protocol and methodology are beyond reproach. such biased public policy appears to be more about money that anything else. to the states and that is the bottom line. shared parenting legislation as well as other pro-family proactive legislation. agenda reveals how immature and naïve Time is. The report highlights the recent case of Emily Hindle whose mother falsely accused the father of domestic violence in order to abduct the child. The mother later discontinued the child’s medical treatment, causing the child to lose her sight in one eye. Most often, the loving parent whom the children are kept away from is the father. This is due to restraining orders which can be obtained without any evidence of violence or even the threat of violence. False accusations also may result in arrest of innocent persons, mostly men as the VAWA encourages the arrest of men when police are called to a domestic disturbance. Domestic violence victims who live in a state that mandates arrest for domestic violence face an unintended, yet deadly side effect of such policies. Each year, over 600 persons die as a result of mandatory arrest laws, according to a report released today: (9) Often these "victims" were never physically abused. When in a heated argument, some may think the ace in the hole is calling 911 thinking their spouse (mostly husbands) will just get a good talking to by the police but because of the must arrest policies, they are arrested. As a result, many also lose most if not all of the rights we take for granted all without due process of law since these cases are tried in civil court where all they need is a reasonable believe the violence occurred. Usually this only means her word that it did. Often men are not even able to tell their side of the story. Convictions are often "back door" convictions when they are told charges would be dropped if they attend an abusers class. Part of this class is to admit they are an abuser. Often the "abuser" will lose their jobs leading to the lose of their homes and their children. This will lead some to drastic actions. Just a false accusation can lead to loss of life. Many murder/suicides are due to this. (10) Often accusations of abuse will just lead to suicide. It is reported that divorce alone will double the male suicide rate. Gender feminist claim this is due to the weakness of males and that they cannot cope with the loss of not having a woman to control and to abuse Research however has shown that most of this increase rate of suicide for divorced men is due to the loss of their children, not the loss of their spouse. (13) (14) David A. Roberts, Former President, ACFC states that the world-wide death toll could easily be 50,000 to 100,000 divorce related male suicides a year, plus hundreds or thousands of mothers yet the VAWA and almost every organization dealing with domestic violence encourages divorce as the first step to end abuse, real or alleged. This is one reason women shelters do not allow women to contact their "abuser"....they just might work things out. Even the Christian ministries that deal with this issue have fallen for this "remedy"
To conclude, I want to remind each of us that there is another Father who wants a close relationship with us but we have rebelled against him. Yes I am talking about our heavenly Father and I know many of you may blame Him for not answering prayer of for allowing this to happen. It is NOT God's fault. One of the greatest gifts He has given us if free will and many use this free will to do things He does not want us to do. I have to admit, I still use this free will to do wrong things at times too. The most important thing is that once we do have a relationship with God, HE will help us through these things. No, I am not saying all our problems will vanish. In fact, sometimes we may even have more but I will assure you we will find a new strength, a new resolve and new power and resources we never had before. All it takes is to take the FIRST step toward better relationships and I can assure you that out of the many in Shattered Men who have taken this first step, NONE have regretted it.